Converted Fichet Bauche safe after the M3b ‘Monopole’ key lock became very difficult to open. 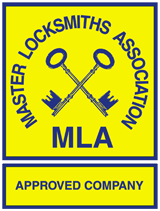 Supplied and fitted La Gard 2270 key lock which is much less expensive than a Fichet lock. Made up special plates and brackets such that the new lock drives the mechanism in the same way as the original. This Fichet safe had fallen apart inside which locked it jammed shut. Opened and repaired by our engineer safecracking in Derby.